Here are the photo cards Dustin designed for us to send out. I just picked out the pictures, he did the rest. Hopefully, we get them sent soon. 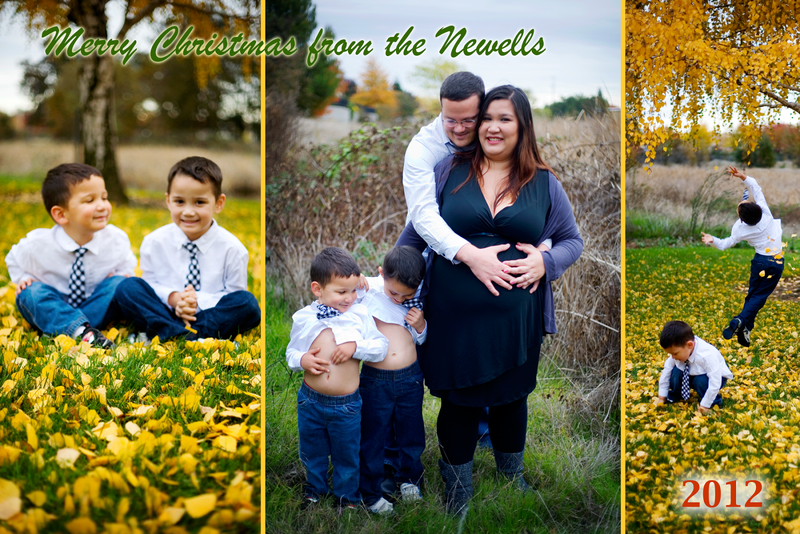 Merry Christmas Newell Family. Love the photos, especially the middle one with. The boys are just too cute.